Enjoy dinner for two and breakfast for two at locations throughout the North and South island of New Zealand. 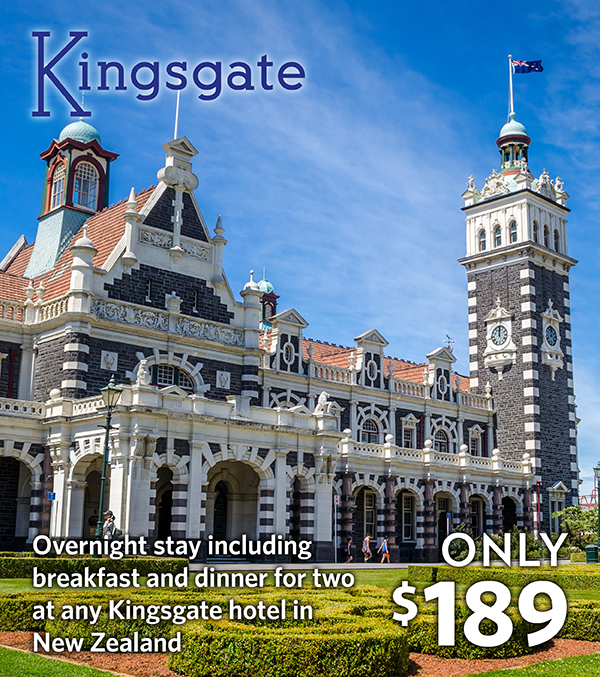 Accommodation for two in a Standard Room at any participating Kingsgate Hotel and Resort in New Zealand. A two course dinner for two in the hotel restaurant. Breakfast for two in the hotel restaurant. Accommodation is twin share accommodation. Your Gift Voucher:After a week of long days and quick fix meals nothing compares to escaping t..